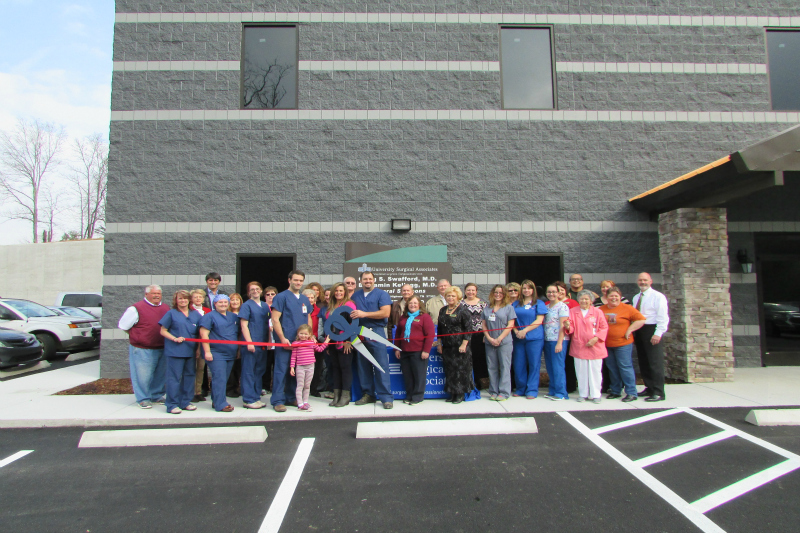 A ribbon cutting ceremony was held today at the University Surgical Associates office building located at 301 White Oak Road. Dr. Craig Swafford and Dr. Benjamin Kellogg, both General Surgeons were on hand to greet the guests and dignitaries present. Erlanger Hospital. 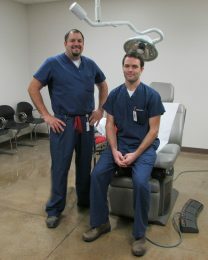 According to Dr. Swafford, there are ample office spaces available in a separate section of the building for other practices. Also, they are in the negotiating stages with Erlanger for a Sub-Specialty Clinic in the future. Dr. Swafford and his wife Stacey have five children. Dr. Benjamin Kellogg and his wife Juli have one child. The public is invited to catch a sneak peak of the facility, as they celebrate their Open House, on January 11, 2016 between 1 and 6 pm.